5. 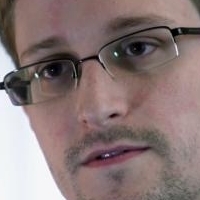 Most cybersecurity experts agree that Snowden has had a magnanimous impact in the community. Maybe not turn into hacktivists overnight, but people in the tech industry sympathize with him. “The fact Edward Snowden has revealed the incredible level of monitoring that is going on has made Netizens more wary, cautious and outright suspicious about what they receive and send on the Net,” Stu Sjouwerman, founder and CEO of software company KnowBe4, said in an email to the Daily News. Is The Desktop Still Dying? Well Hal Weaver you can bet your bottom dollar he hasn’t done near the damage Obama has done to our country and continues to do so every day!! @lyrx: The citation and reference to the original NY Daily News article is a hyperlink. Juan Figueroa more drivel from the sheep pen. traitor, coward, hypocite…..a perfect echo of the propagandic words spouted off by your precious all knowing and infallable government. yes, that was sasrcasm. traitors and hypocrites are also the sentements used by the british in regards to the continental congress. in truth it's pretty damn brave to go against the government like this! as for you cutting him down for hiding? SO WOULD ANYONE IN HIS POSSITION! the government wants to kill him. if YOU were being hunted like that, would YOU just walk around anywhere you please? you're a bloody damn liar if you say yes. as the poster above stated, the us military themselves have admitted that they have not found a single istance of a life that was put at risk from his revelations or that of assange. the only reason the government is after him so hard is because he pulled their trousers down and exposed thier dirty pants to the world! the american government is one of the most decietful, crooked and greedy in the world. then again as assange said in his book, when google meets wikileaks, there's always the possibility sonone could be put at risk. there's also a risk that an astroid will crash into your living room and kill you, but does that make us hide in the basement? do you? answer is no so stfu. The problem I have with Snowden is that he exposed not only information about the government collecting information about us, which may have been a reasonable whistle blowing function, but without any discrimination about what he had, he gave up information about the country’s attempts to collect information about foreign countries. It is this naive neglect of distinguishing between domestic relations and those between our country and other nations that makes me reject his claim for legal forgiveness. Neither you nor I know what damage this has done to the country and its foreign policy. To claim that there should be no secrets about our foreign relations is absurd. Suppose this principle were to have been claimed in WWII. Should we have told the Germans that we had cracked their code. Should we have told them the exact day we were planning the Normandy invasion, because keeping it a secret was somehow unfair? If he ever comes back to the U.S., he should not be hanged, as other traitors have been, but he should spend a LOT of time in prison. Congratulations PC PItstop for weighing in on a subject of real significance for all of us! For those who say that Snowden puts people in danger, can the commentator give the name of a single person whose life has been endangered by Snowden's relevaltions? The same can be asked of Julian Assange and other whistle blowers. With so many FBI and CIA operatives scrutinizing Wikileaks material, the US military have nonetheless admitted that they have not found a single instance of a life put at risk through these revelations. All that has thus far been put at risk are the futures of the beaurocrats and poloticians who lie and break the law, though notably nobody seems to have called these law-breakers to account at this stage, and probably won't if the persecution of whistle-blowers is any indication of how these scandals are going to be dealt with. As Assange said in his recent book "When Google met Wikileaks", there is always a possibility that someone could be put at risk through these revelations, just as there is always a possiblity that an asteroid could crash through the roof of your hosue and kill you, but this doesn't mean we should all be hiding from asteroids in our cellars. The important question is not whether things are possible but whether they are likely, and whether uncovering the crime warrants the risk. Traitor is a traitor. He put in danger thousands of soldiers and operatives, traitor and a coward hipocrite. Hiding in countries where spionage is nothing strange. Find the guy, put him on trial, then hang him! Traitors are TRAITORS. @bern: baaaaaaa says the sheep. @bern: edward bernays loved people like you and trained the government how to manipulate them. your type are so easily lead and so easily swayed with propaganda and misdirecting lies that it’s pathetic. I was one that thought Mr. Snowden might be a traitor, but on reflection and research I have decided he is a savior. Go, baby Go!